This spacious villa has a sleeping area on the first floor, including one bedroom with a large terrace where you can enjoy the sun. On the ground floor you find the living area including a sitting area, a TV corner, a dining room, library, kitchen and recreation room. There is also a large garden with garden furniture and barbecue. 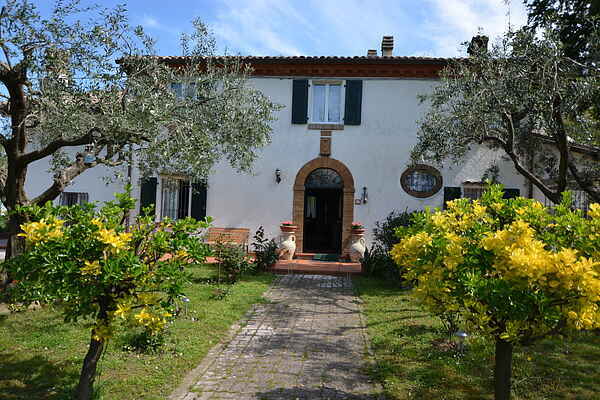 This villa is ideal for a large family or group of friends who love peace and nature. Just 4 km away there is the village of Fiorenzuola di Focara, a historic village with cozy restaurants. From Fiorenzuola you can walk to the beach through a nature reserve. Only the walk is worthwhile. But also the city of Pesaro, the castle of Gradara and the coastal region of Romagna including places like Cattolica, Riccione and Rimini are very nice to visit.